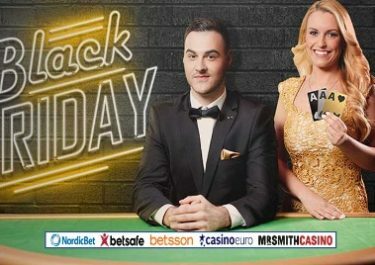 Betsson – Golden Ball Celebration! Win a luxury trip to the Gold Coast in Australia! Great opportunity for Live Roulette enthusiasts to win a superb holiday to one of the best destinations on this planet. Nestled on the Eastern part of Australia, the Gold Coast stretching from Brisbane to Coolangatta has become a major tourist hot spot, especially in the world of surfers. The beaches are pristine, the sea like made for surfing and the weather is an all-year round mild tropical climate. Plenty to play for at Betsson as the winner of the race will win a luxury trip for two to the Gold Coast, plus there are 11 runners-up prizes. A Golden Ball round takes place every 20th round on the designated Live Roulette table, and the player who has wagered the most the previous 19 rounds will be the Golden Ball winner. Every Golden Ball win lets the player control the next spin and it will also earn 50 points on the leader board, which is updated in real time. Plus, players will collect 20 bonus points for every €50 won during the promotional period. Only cash bets qualify, so make sure you do not use bonus funds. Cash prizes will be credited with no wagering requirement by 11th May 2018. We have no information whether a cash alternative is available for the first two prizes.